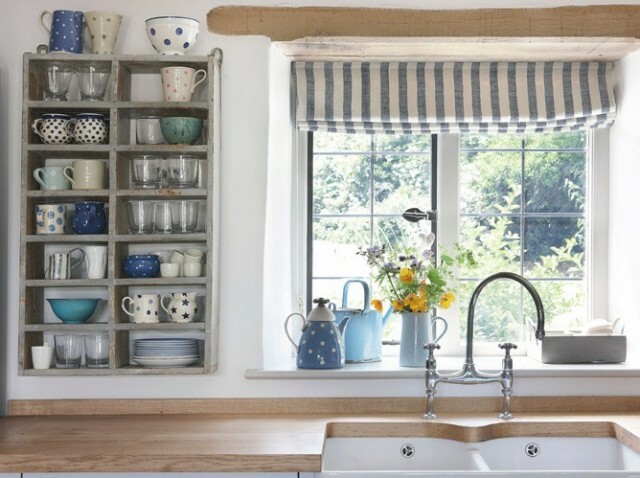 Why hide the beauty in closed cabinets? 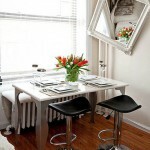 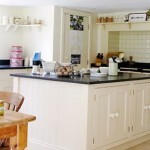 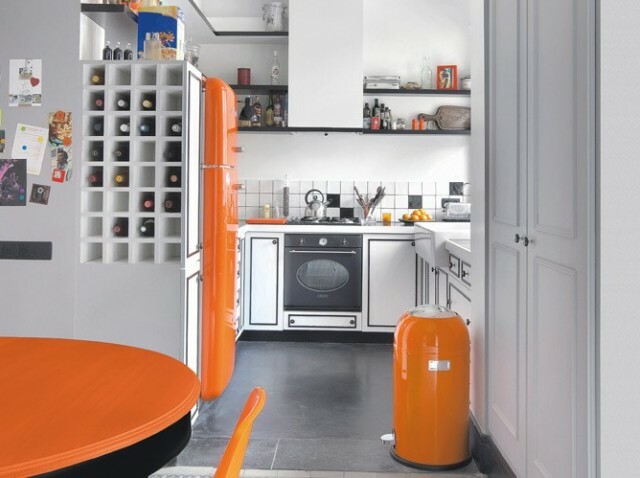 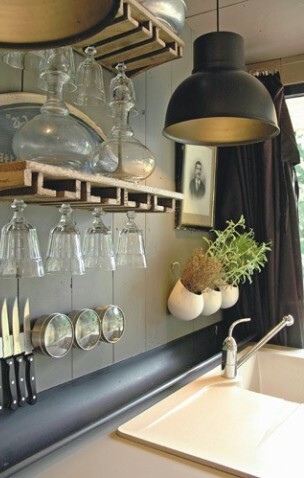 Obtain open kitchen shelves and put on display his collection of wines, figurines and vintage enamel ware. 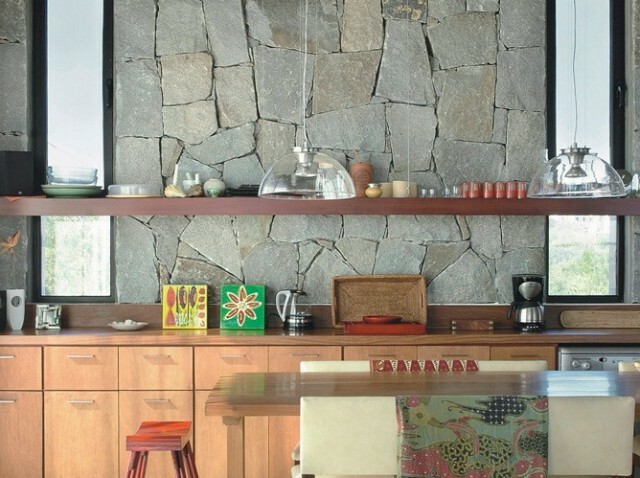 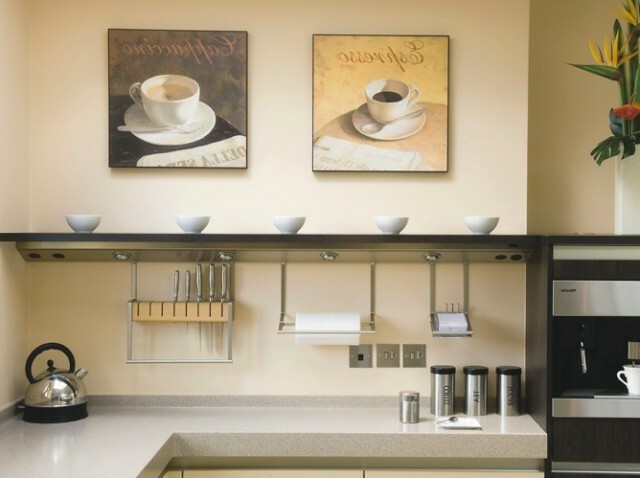 Do not associate the open kitchen shelves with the disorder and cluttered spaces: a properly fitted exhibits only decorate the interior of the kitchen. 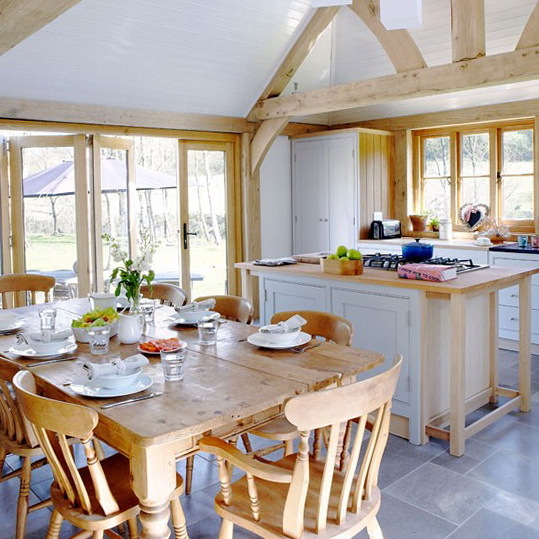 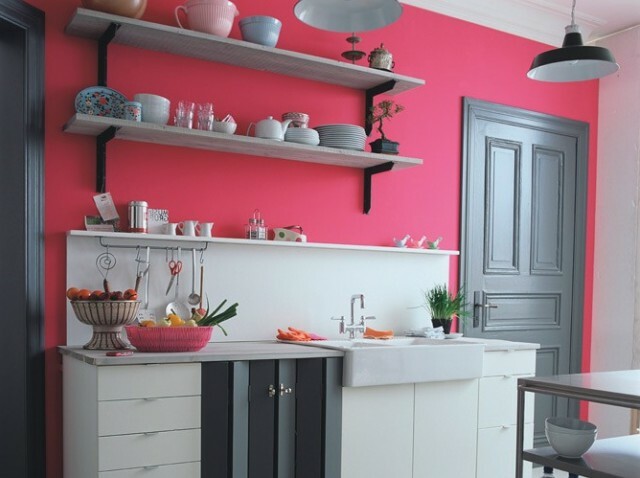 Open kitchen shelves particularly suitable for the design of kitchens in the country-style French cuisine and vintage retro cafe 50′s and 60′s.